Up for review today we have a special edition release from Pete Johnson of Tatuaje Cigars. If you haven’t been following Pete or Tatuaje, you should know that he has a successful line of both limited and regular release blends and he shows no signs of slowing down. You can review some of the other cigars we’ve reviewed from Tatuaje, such as the recently released Halloween special, “The Face”, the Verocu Red Tubo or the Black Corona Gorda. 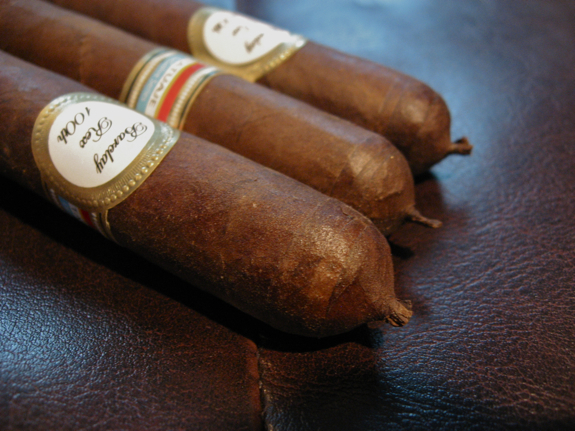 You can also see more by clicking on “Cigar Reviews” at the top of the page and scrolling down to Tatuaje. 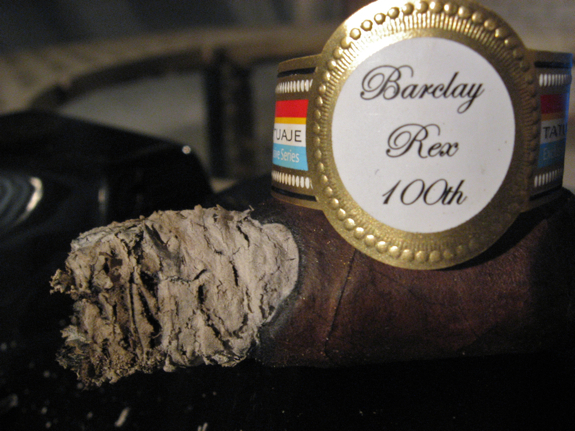 Today’s cigar is a special release as part of Tatuaje’s “Exclusive Series” and was made specially for the 100th Anniversary of Barclay Rex Fine Tobacconists. 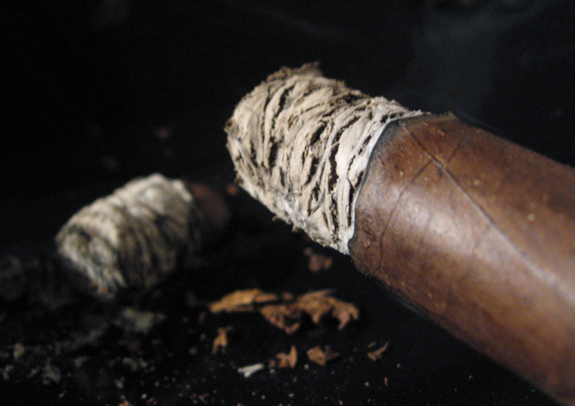 There’s not much extended information around about this cigar. It has a Connecticut Broadleaf wrapper which was one of the reasons I really wanted to track it down and give it a try. When it arrived it looked very tasty and appealing. Without further adieu let’s jump right in! 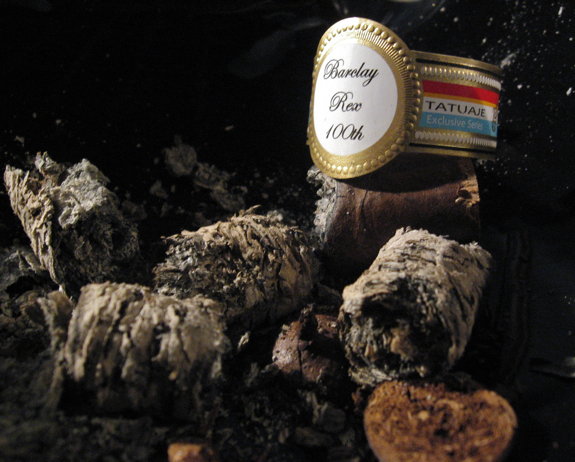 This is yet another great cigar from a blending master. It started out fairly strong and peppery but the change-up around mid-point proved to be very enjoyable. 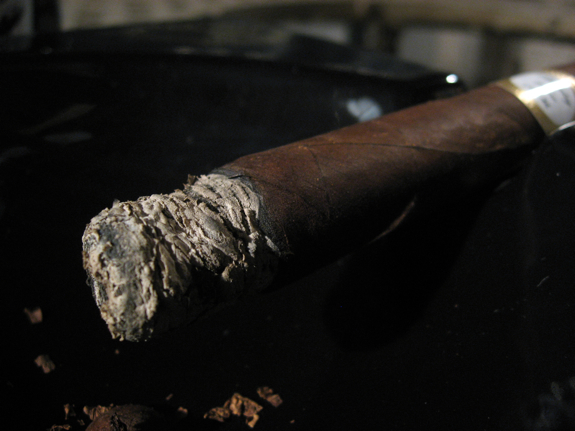 The burn and general construction of this cigar was spot on the whole way through. The price is also fairly accessible although they are yet another limited edition and that may turn away some people from purchasing them. 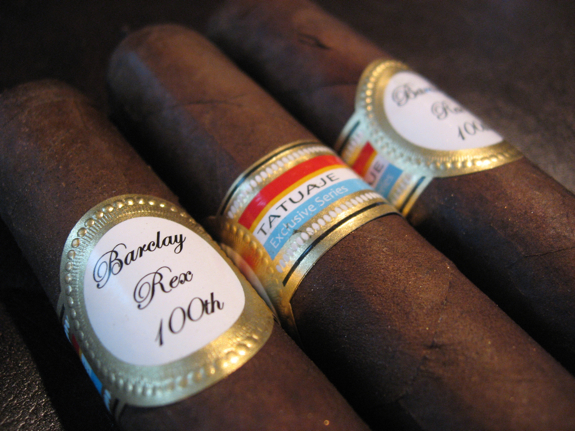 If you are a Broadleaf or Tatuaje fan these are definitely worth a try as they do not disappoint. They finish fairly strong so make sure to have a good beverage and a full stomach before lighting one up. The beer is completely new to me and I stumbled upon it for the first time in one of the holiday packs at my local store. It’s from a brewery called Hirsh Brau and the packaging claims it to be a “Bavarian Beer from Germany”. The English on the packaging and bottle after that is pretty much non-existant, it’s all German. A little online digging shows that this is a Dunkel (Dark Lager) from Sonthofen, Germany. It has a ton of flavor packed into with nice swing top bottle. Despite being a dark lager it is a fairly light drinking ale with bright flavors. It has a nice bitter finish with some hints of fruit and honey and lots of hoppiness. 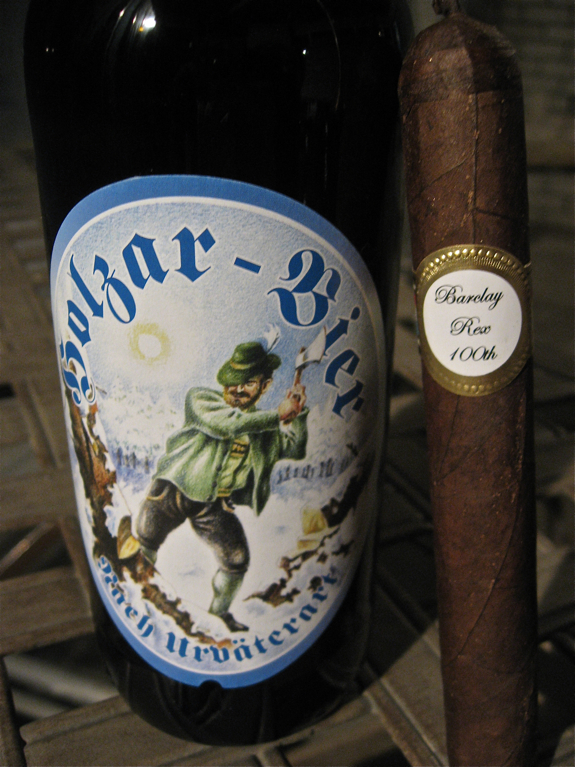 I don’t think it was the best pairing for this cigar, probably a bit too light. I think a nice dark stout or porter would have paired better. 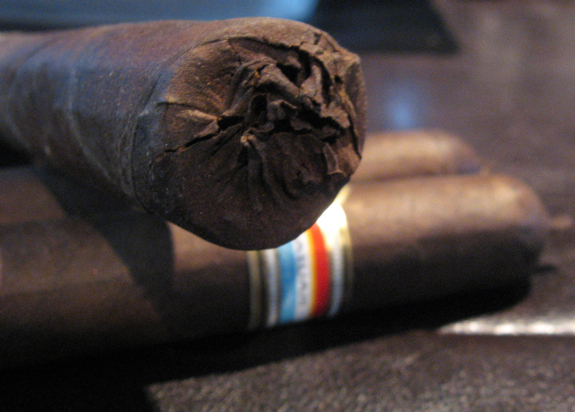 Also, this cigar would go fantastic with a good Scotch or Port as well as a nice strong cup of coffee. Let us know how it turns out when you light it boomer! I’m curious to hear other peoples thoughts as it doesn’t seem too many people got their hands on these. Nice. I have one in my otterbox this week to smoke, but haven’t tried it yet. I wasn’t overly impressed with the exclusivity of it, and it wasn’t as good (to me) as the other limited releases this year. Maybe I need to give them another try. I prefer easier access smokes of his over this. The 7th is my current fav…. Nice review Big D! Daniel> It was an AWESOME cigar. Lots of pepper, spice, coffee- this cigar has it all and alot of it!After being underwhelmed by PJ’s most recent limited releases, this is one I wish I had a full box. It reminded me of the first T110 I smoked (as much as I can remember what the first one was like- the next couple I smoked seemed to have lost their edge). This is a very strong cigar, but I loved it. 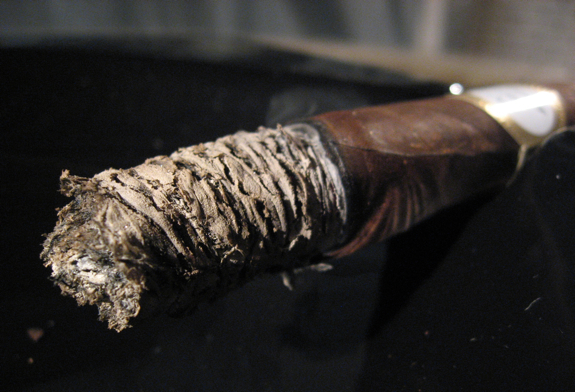 Just a little rest (not too much) would probably make it my ideal cigar. Tadd – I haven’t had a chance to try the 7th yet but I hear good things, I’ll grab some in my next order. Sorry you didn’t like these ones but maybe they’ll improve with age?